If you already have your business listed please make sure you Click claim listing and then you can add a package. At Bar Advisor we don’t believe in limiting the information we provide to our readers. We give every business equal opportunities to attract new clients, with their information. But we do have different packages to choose from if you want to remove advertisement or make your listing stand out more by being featured. AD FREE option removes 3 Ad Blocks from the listing. Ads are how we pay the bills, but we understand that it can take away from the appeal of your listing. So we give you the choice to remove them for a very small fee. Ad Free will remove 3 ad blocks from your listing. 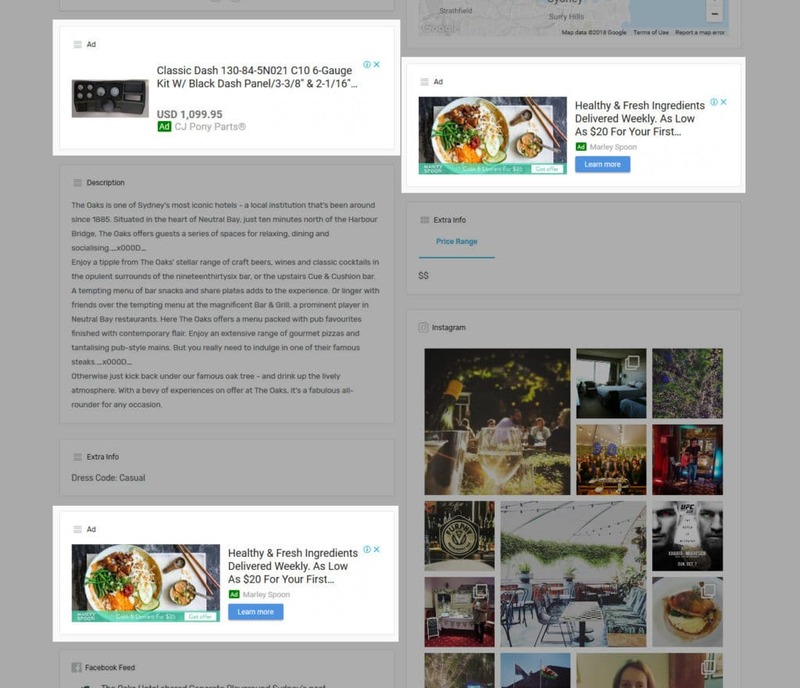 This will stop google or your competition from showing ads on your listing, but this will not remove the site sponsor spot from the listing. The site sponsor will not be within your listing details. This will normally be an alcohol company, but not your competition. Your listing will have a border to stand out. Plus your listing will be promoted in Bar Advisors online advertising campaigns. The 3 Ad blocks* will also be removed from the listing. Clean up your listing with no ads. The AD FREE & Featured packages remove the 3 ad blocks from the listing. Each listing page has 3 AD Blocks that run normal ads from our ad networks. These are the ads that will be removed. Page sponsors will still be shown. Not just anyone can be a page sponsor. All pages and listing also have positions for page sponsors, these will not be removed on the Ad free or Featured packages. But they are not displayed in the details area of your listing and we only advertise certain companies. These are normally Alcohol brands, taxi companies or products that relate to the listing type and do not advertise your competition.